I checked with headlamp the inner circle Yes the innercicle where the retainer lock is not perfectly shaped its has 4 how can I say it hmm ..spot where the retainer stops the circle movement.if the retainer lock(and indeed it look perfect engaged...but not) right on these spots maybe this occurs the cause of tightening drags .maybe the retainer spring overides on these spots when pressure applied. Oooo i will give up. Exactly you set the drag at your preference.cast a few times.then u pull the line to check the drag and you realize that is more tight than you think (u set)Yes I use Cals. And I only noticed that by pulling line via the guides of rod Not by turning the spool by hand.i didn't notice such behavior when I'm playing with the reel in my hands. Maybe the rubber seal at the drag's adjustment knob? Hello I noticed in a few reels when I set the drag in my preferences pressure after a while the reels drag can't keep this setting and get more loosy or more tight My latest purchase is a Shimano stradic 5000fk I cleaned the CARBON washers and applied tobthem a very light film of Cal's grease After a few casts after inspecting the drag pressure I noticed that the drag always gone tighter than my setting Why this happen? My spool is free running when I turn it in the very low drag pressure.its not stucked or whatever. ?Allign driver gear and pinion gear in a worm shaft system spinning reel? New just spooled stradic5000fk Please take a look at the video Is this normal ?shall I have to worry? This play in cam's zoom in looks bigger What u advise?open it and look if there is or not the shim at worm shaft(part 16801) ?or just leave it for a future cleaning lubing session? 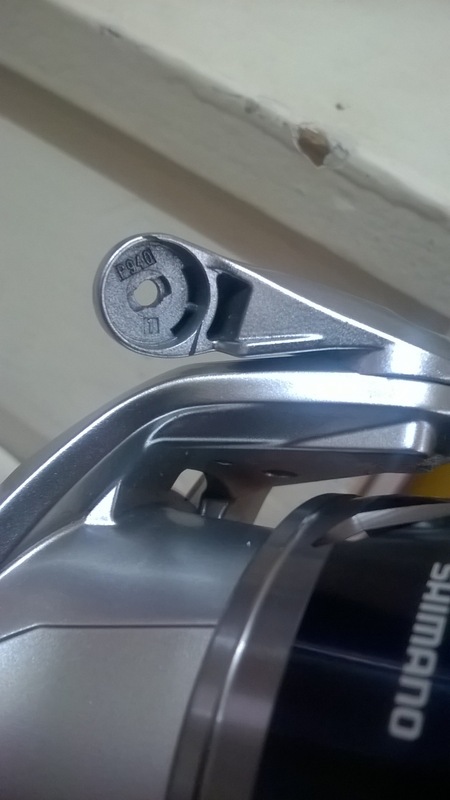 i was thinking the same ,to soak the entire roller to corrosion x im bit impressed about shimano's decision to make such a fixed roller and bearing even in stella i think u can remove these inserts?am i wrong?